For GM HEI coil in cap this connector helps clean up your engine bay by eliminating the use of single spade connectors that are prone to falling off and killing your ignition. This connector is a tight positive fit with a locking tab and shark fin on it to ensure that the connection between your wiring and HEI stays intact. 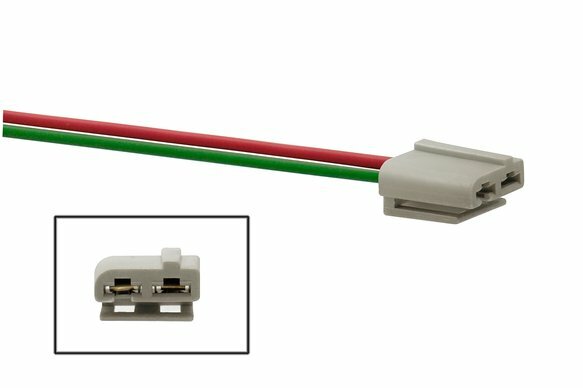 The connector houses two wires, one bright red for your 12 volt key switched wire, and the other green for you tachometer to wire up. The high temperature connector has 2 ten inch leads coming out of it.